It's not hard to determine whether or not your home's ducts could use cleaning out if you know what to look for. Keep an eye on your energy spending, particularly if it seems to be steadily rising and you're not sure why. This can be a sign of blocked up air ducts that need to be taken care of. You can also take a look at the vents, around them, and inside if possible. Keep an eye out for things like signs of mold with discoloration, foul odor which could mean mold as well as rodents or insects, and debris in general. There may also be troubles with you or your family in terms of health, such as issues breathing or bad allergy symptoms even while shut up indoors. While it's understandable that your home likely has a lot of projects already that need your attention, don't let this aspect go unattended. The steady buildup of dirt and otherwise in your ducts can be costing you with higher energy spending, as the air will struggle to get through and require that your air conditioning or heat run for much longer to make up for it and be able to fully adjust the temperature. Health is another huge factor, as mold growth leads to dangerous spores. If rodents or insects have invaded instead, their waste can aggravate allergies, or even carry disease when it comes to rodents. Even simple dust can be enough to cause breathing troubles for those with asthma. Our team has years of experience in the area and use the finest equipment available so your ducts will be utterly clear again in no time! We'll make sure that they're cleaned out thoroughly so it will last, as well as keep any of the materials from cross-contaminating the air in the process. 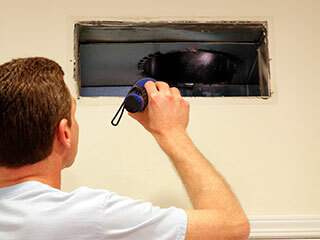 Call Air Duct Cleaning Vista today and let us get your air ducts sparkling clean and air fresh again!